Many patients with ILD have connective tissue disease and the current model of multidisciplinary team does not include a rheumatologist. 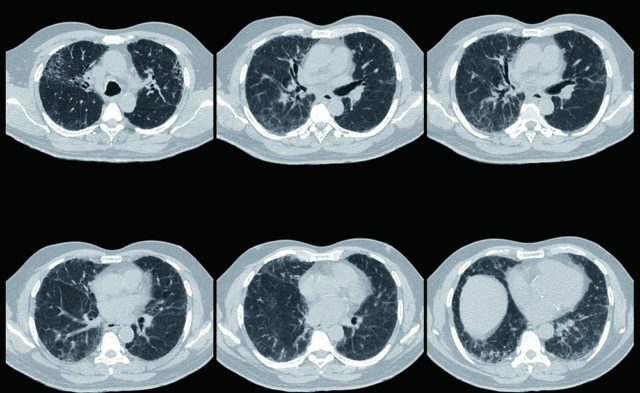 The results of a study published in The Journal of Rheumatology suggest that adding routine rheumatology assessments such as serologic tests to the diagnosis of interstitial lung disease (ILD) could reduce the need for invasive diagnostic procedures such as bronchoscopy and biopsy and improve diagnostic accuracy. 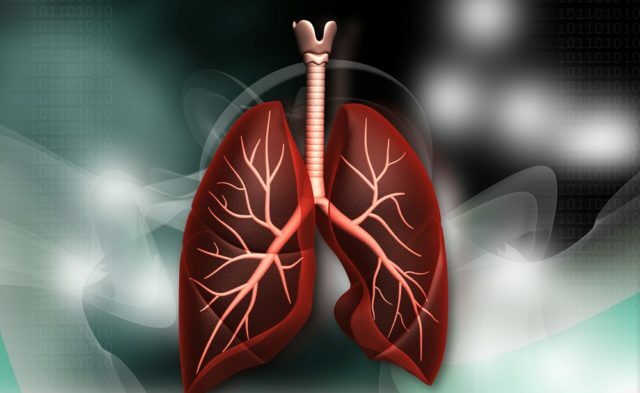 Connective tissue disease (CTD) can cause a number of pulmonary manifestations, including bronchiolitis, bronchiectasis, pleuritis, pulmonary hypertension, and ILD, all of which are called CTD-ILD. The gold standard for the diagnosis of ILD is a multidisciplinary team (MDT) that includes a pulmonologist, radiologist, and pathologist, but many patients with ILD have CTD. In addition, a new subtype of CTD-ILD was defined recently: interstitial pneumonitis with autoimmune features. These developments point to the importance of input from rheumatologists in these patients. Researchers assessed 60 patients newly diagnosed with ILD. All patients underwent routine MDT assessment followed by a blinded assessment by a team of rheumatologists. Following the rheumatologists’ input, the diagnosis was revised if necessary. The diagnosis of idiopathic pulmonary fibrosis (IPF) was based on American Thoracic Society guidelines. Of the 60 patients, 24 (40%) were eventually diagnosed with a rheumatology-related ILD. The MDT successfully identified 83% of Sjögren syndrome (SS)- and 75% of rheumatoid arthritis-related cases. However, the MDT misdiagnosed both cases of antineutrophil cytoplasmic antibodies-associated vasculitis-related ILD, 3 out of 4 cases of antisynthetase syndrome, 3 out of 5 cases of IPAF, and 1 of 2 cases of immunoglobulin G4-related disease. The researchers pointed out that adding a rheumatology assessment to the diagnosis of these patients as part of their initial workup would have spared patients from 7 bronchoscopies and 1 biopsy. IPF was the most misdiagnosed condition in this study, which they noted was not surprising as the diagnosis of IPF is based on the absence of an identifiable cause. As there are now agents for the treatment of IPF and other fibrotic pulmonary diseases, and these differ from the agents used to treat CTD-ILD, accurate diagnosis is crucial. Misdiagnosis can result in delayed treatment and irreversible lung damage. The researchers called for the addition of a rheumatologist to the MDT to conduct routine rheumatologic assessment of ILD.